So you want to look like Skyrim's Dragonborn but don't want to go to the snow, get beat up and punch a lot of wolves in the face. Next best thing? 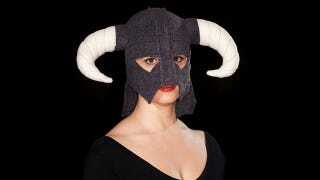 Buying a plush Dragonborn hat.